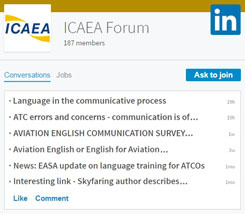 This advisory circular (AC) introduces the Federal Aviation Administration (FAA) Aviation English Language Standard (AELS) and provides guidance to applicants, airmen, training organizations, Designated Examiners (DE), and flight and ground instructors on how to determine that an applicant for an FAA certificate or a person holding an FAA certificate meets the FAA AELS. AELS will be evaluated before acceptance of a student pilot application or issuance of a student solo endorsement, recommendation or examination of an applicant for an FAA pilot certificate or additional aircraft rating, and whenever any individual is tested or checked as required by the Administrator under Title 14 of the Code of Federal Regulations (14 CFR). The following AELS eligibility standard definition clarifies the regulatory English language.